Home/Brexit/What would no deal mean for Northern Ireland? If no agreement for withdrawal or an extension to the negotiating period is reached by 29 March, the UK will leave the EU without a deal in place. In basic terms this means that the UK will no longer have a legal or regulatory framework under which trade with the EU would operate and would automatically revert to World Trade Organisation (WTO) terms, the baseline for international trade. agendaNi looks at the various industries this situation would affect in Northern Ireland. A report by Oxford Economics, commissioned by Stormont’s Department of the Economy, warned that Northern Ireland would be “particularly vulnerable” in the case of a no deal Brexit. It said that a reversion to WTO terms would affect Northern Ireland because of its reliance on trade with the Republic of Ireland, its composition of manufacturing into sub-sectors and its dependence on foreign direct investment as a means of funding for investment projects. The report forecasts that a no deal exit would mean that Northern Ireland’s economy will be between 4 and 5.6 per cent smaller in absolute terms by 2030 than it would be by staying in the EU. The Government’s EU Exit report, which analysed the long-term economic effects of various Brexit scenarios, predicted in November 2018 that the economy would drop by 9 per cent over 15 years. The Confederation of British Industry (CBI) put a cash value of £5 billion on that 9 per cent. In terms of short-term economic effects, a report by the Economic and Social Research Institute (ESRI) in Dublin for InterTrade Ireland noted that agriculture would be one of the sectors hit immediately and severely. The report noted that dairy products make up 15 per cent of all Northern Irish goods exported to the Republic of Ireland and that a no deal would mean these products would be hit with an average tariff of 64 per cent. With other, non-tariff costs also playing a role, the ESRI predicts that there could be a drop of up to 65 per cent in dairy exports to the Republic of Ireland. It was with figures such as this in mind that the Ulster Farmers’ Union referred to a no deal Brexit as “an effective trade embargo” for northern farmers. There are fears that the Integrated Single Electricity Market (I-SEM) would cease to operate as it currently does given that a no deal Brexit would leave the market without a legal basis. 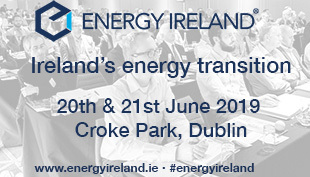 It is thought that a failure to maintain the legal basis of the all-island system would mean that Northern Ireland would need to import electricity from Britain through an interconnector in the Irish Sea, but with I-SEM having only gone live in 2018 and both the Irish and British governments agreeing on the value of its preservation, along with the EU Commission, such measures are unlikely to be needed. Worries about rolling blackouts during a transitionary period have not been assuaged, while the Systems Operator Northern Ireland says that they “may need to rely on fallback arrangements” to guarantee power flow. Talk of barges in the Irish Sea also remains, but the Green Alliance, an environmental charity and think tank, has said that any emergency action will likely be “highly polluting and expensive”. The British Medical Association (BMA) has claimed that the maintenance of an open border is crucial to specialised healthcare as Northern Ireland’s small population of just 1.8 million people means that, without cross-border cooperation, Northern Ireland “could not sustain specialised services”. BMA also expressed a fear that no deal would run the risk of forcing patients in need of care to travel significant distances. Another issue lacking clarity is the status of medical qualifications obtained in the EU and BMA has said that northern medical students who opt to study and qualify in the Republic of Ireland could “have significant difficulty” returning home to practice. The CBI points out that international students contribute an estimated £170 million per year and that a reduction in their numbers would heavily affect housing and retail markets. Further, they warn that Northern Ireland’s universities could suffer heavily if no deal and the loss of EU educational funding scuppers their cross-border research projects. With education in mind, they warn that a no deal “would mean a lost decade” for Northern Ireland, stifling it potential, production and prosperity. It was reported in January 2019 that 1,000 police in England and Scotland had begun training in preparation for deployment in the event of a no deal Brexit bringing about a hard border. The training began after requests for back-up from PSNI chiefs who fear mass civil disobedience in the event of a hard border being implemented once again. 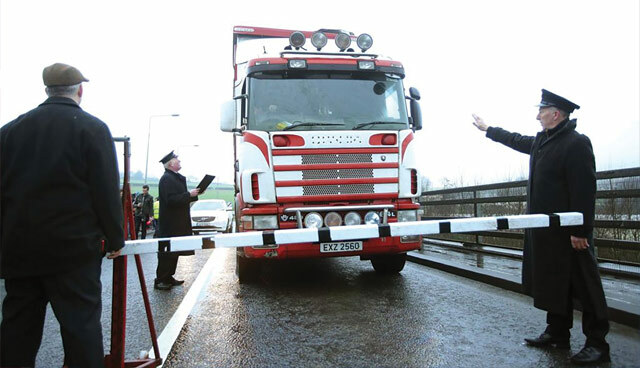 The PSNI have stated they will seek a minimalist approach to additional policing resources in border areas in the event of a hard Brexit, but what that would look like is unclear. Another complication for police will be that a no deal would place the UK outside of the European Arrest Warrant, the mechanism that has made the process of extradition from the Republic of Ireland almost seamless. There are reservations that the extradition process could return to the complicated and tense status it endured during the Troubles and with fears of smuggling becoming a problem with a hard border, the ease with which the PSNI and An Garda Síochána now liaise could be tested. It is the unavoidable issue of Brexit, but contrary to the beliefs of some, the Good Friday Agreement does not explicitly guarantee that the UK or the Republic of Ireland would never harden the Irish border. What was promised within the agreement was that the British Government would demilitarise the border area and dismantle the apparatuses that were used for the surveillance of the border during the Troubles. 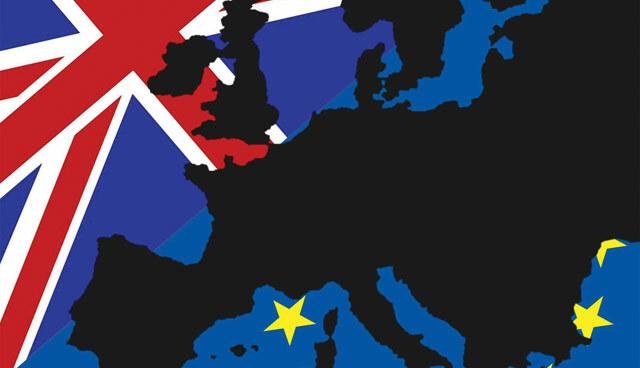 Should a no deal occur, the Republic of Ireland would be under an EU obligation to erect some sort of border mechanism to protect the EU’s market, but the free movement of people would be unlikely to be affected given that Britain and Ireland’s Common Travel Area predates the EU and both parties have committed to its continuance. Taoiseach Leo Varadkar has said that, even in a no deal, the UK would have to accept regulatory alignment between Northern Ireland and the EU because he will not accept a hard border. Given that that regulatory alignment between Northern Ireland and the UK after Brexit is one of the DUP’s “blood red lines”, it remains to be seen what compromise can be reached, or who will blink first.